This year we planted a bunch of different veggie plants in the backyard patch. For some reason, the eggplantplant would flower, and then wither away. I didn't see anything for the longest time. 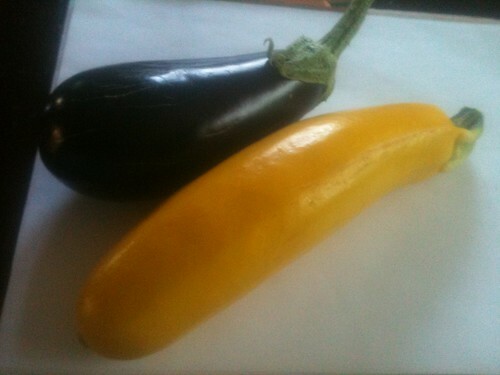 Then, there was a little eggplant that came. But the squirrels took it away. Yes, the ones that live in our neighborhood are vicious and not scared at all. Our friends can vouch for us. They've seen them go for the veggies when we are in the backyard! So when the the plant had another eggplant, I was super thrilled. But also nervous. After a few week's of suspense of whether the eggplant will survive, thankfully it did, I had my first ever eggplant produce. 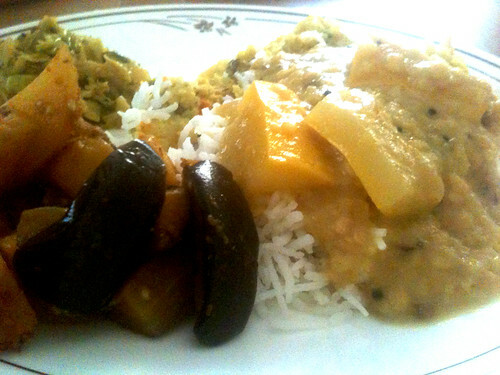 The garden veggies made for a delicious lunch the next day, the squash was used in a sambar and the eggplant went in a potato and eggplant bhaji. I now have some carrots in the ground. What about you? Did you plant something this summer? Maybe you have a window garden? What's growing in there? Coming back to the recipe, I first made this cake in February when it was snowing outside. 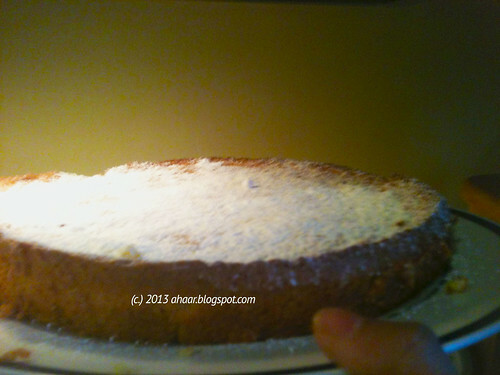 I wanted to make my orange and almond flour cake. But I didn't have any oranges. It was dark, freezing and we were hosting a mini party to celebrate Aswin's tenure in the evening. 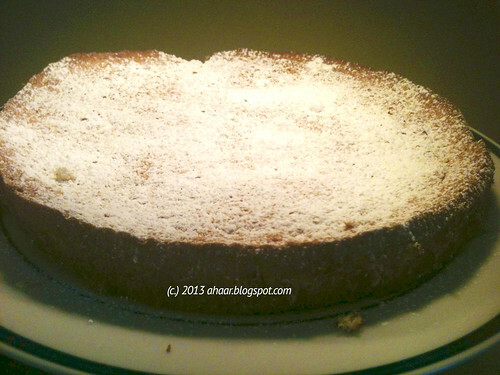 So I experimented with the cardamom and a simple almond flour cake. I beat in the egg white to make it light. It turned out good. That evening, we ordered in some takeout, had some munchies, some soup and this cake. I have made it again since then, but I just never get around to taking a decent picture. By the time I think about it, the cake is gone. But I shall persevere and I hope to have a good picture soon. The flavor is delicate, flaky and the toasty, fragrant smell of cardamom coming later, but it lingers. Heat the oven to 350deg F. Mix the Baking powder and cardamom flour with the almond flour. Keep aside. Separate the eggs and beat the egg white till it is fluffy. Mix the egg yolks with the sugar, 1/4 cup at a time till it is mixed in. Now add the almond flour slowly to that mix. Once it's done, add the egg whites in. Take it in big scoops. Avoid excessive mixing, rather try to fold it in. Once it's all mixed in, pour it in a buttered, and floured pan, cook for 40 minutes till the toothpick comes out clean. Let it cool and serve with powdered sugar. Right around this time, I have an inexplicable urge to keep the summer going. Not that I don't like Fall, I do. I love the dip in temperatures, the leaves changing colors, the new vegetables that make an appearance in the farmers market and the busy-ness of a whole new semester. But it's hard to let go of the laid back quality of summer. This summer, we had our hands full with two little ones, so we didn't make any big plans. We hung out at home, went swimming, visited family, and friends in neighboring states, threw some ball in the backyard, blew some bubbles and just like that, summer is over. The new school year comes with transitions. Lil A is going to preschool full days now and Tiny M is starting daycare. That means being more organized with meal plans. What do your kids like to take to school? Right at this time, I went to a friend's anniversary party. 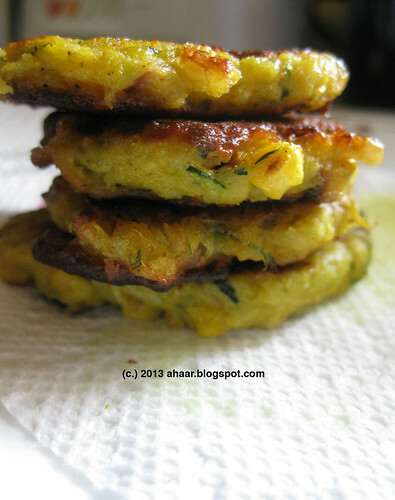 Them being super bakers, I didn't take anything sweet, rather settled on something savory - zuuchini and corn fritters and served it with cilantro and mint chutney. 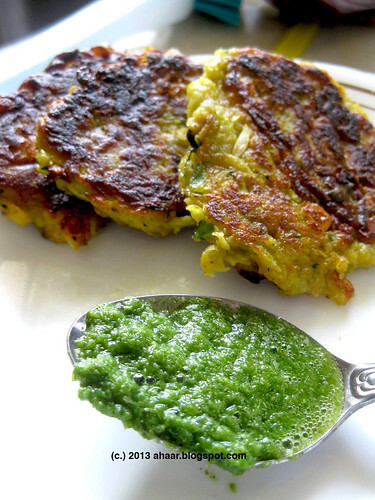 The fritters really capture the feel of summer with the lightness of zucchini and the pop of corn with each bite. I grated the zucchini, but you could even try to chop it thin. I grilled the corn, but you could even boil it. Cut and chop all the ingredients. 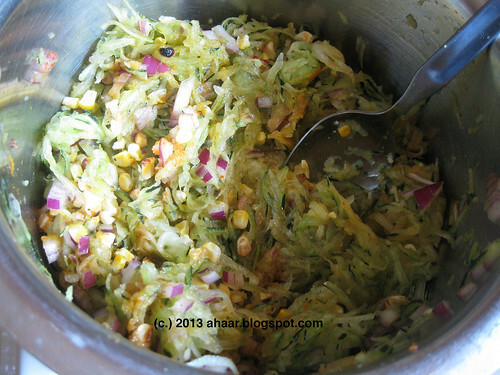 Mix it together with the spices and let it sit for 30 minutes. Zucchini will give some water. 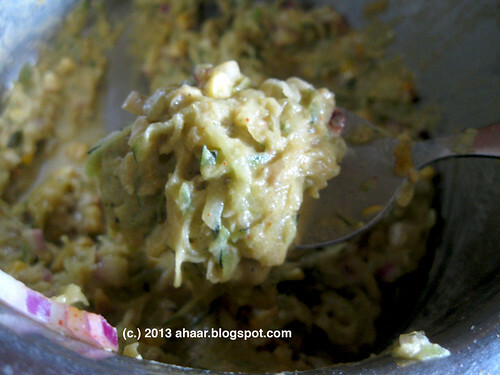 Stir it together and add the 1/2 cup water till it becomes a thick batter. Take a big tablespoon and that is a good serving size. Heat oil in a shallow pan and put a tablespoon of batter on the pan to fry. 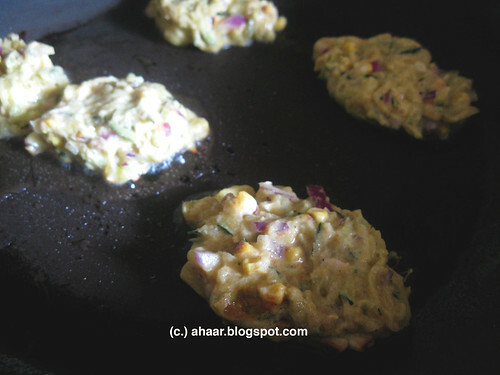 After 2-3 minutes, flip and flatten each fritter with the back of the flippers. Let it cook for another couple of minutes. 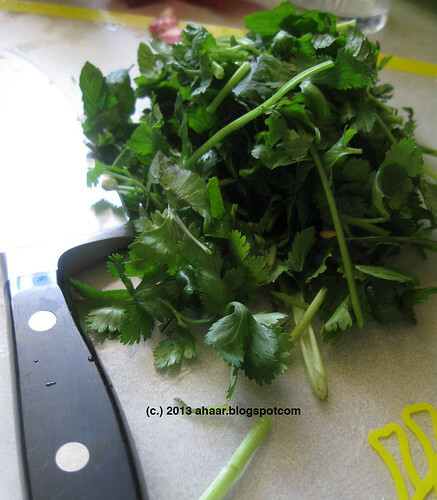 Serve with some cilantro and mint chutney.